Well this is a first. Three photos I am posting here from Yunnan Province in China. 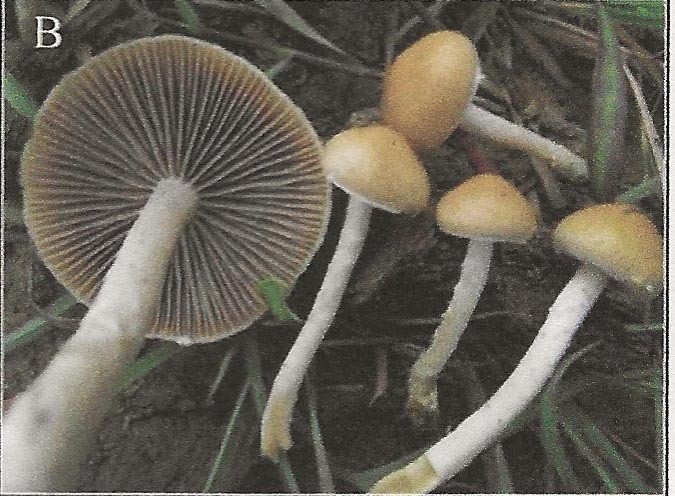 This is a report of a poisoning in two young adults who consumed small portions of Psilocybe samuiensis in Yunnan (Hunan) Province, approximately 280 km Northeast of Changrai, Thailand and more than 1400 km north of Koh Samui Island in the Gulf of Thailand. The young adults were treated in an emergency room and later released with no problems. The incident was reported and an academic paper on several different cases of local mushroom poisoning was reported. Three pictures photographed by my colleague Zhang-Ping from Yunnan (Hunan) Province China. 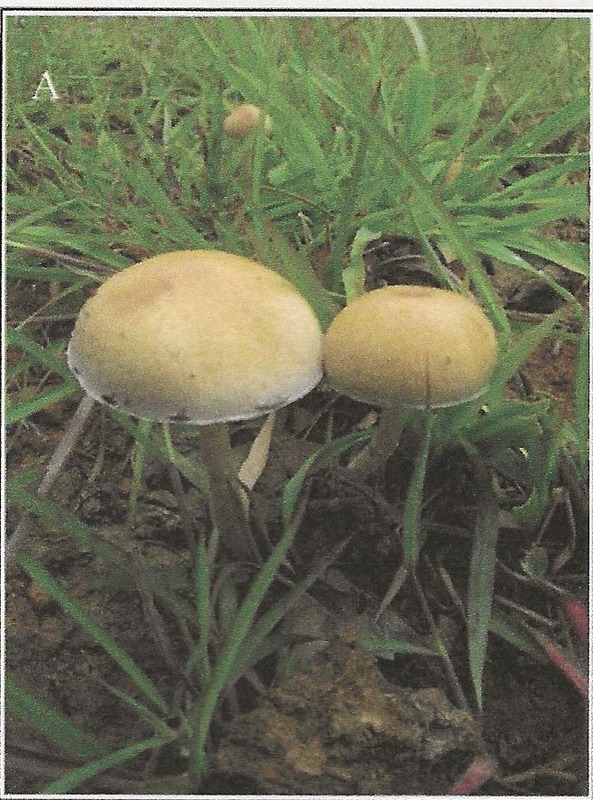 One photograph of Psilocybe samuiensis Guzman, Bandala and Allen. 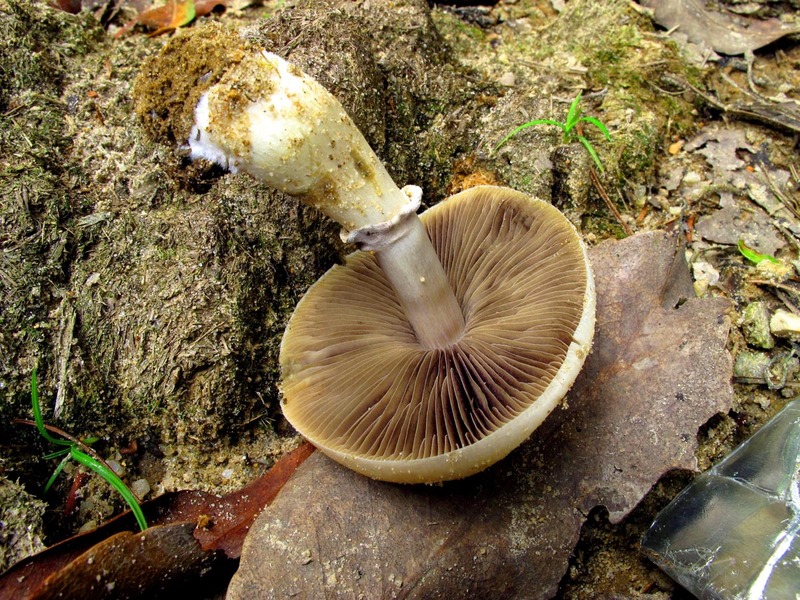 Two photographs of a newly discovered species, Psilocybe chuxiongensis. This species also is now known of from Yunnan (Hunan) Province in southern China. It somewhat resembles Psilocybe cubensis but the cap is much smaller in diameter and is convex. It grows a taller slimmer stipe. And it has no veil remnants. (2 photos). Sorry I was not able to add the author of the new species in the bottom two photographs because the PDF file that I have is in Chinese. 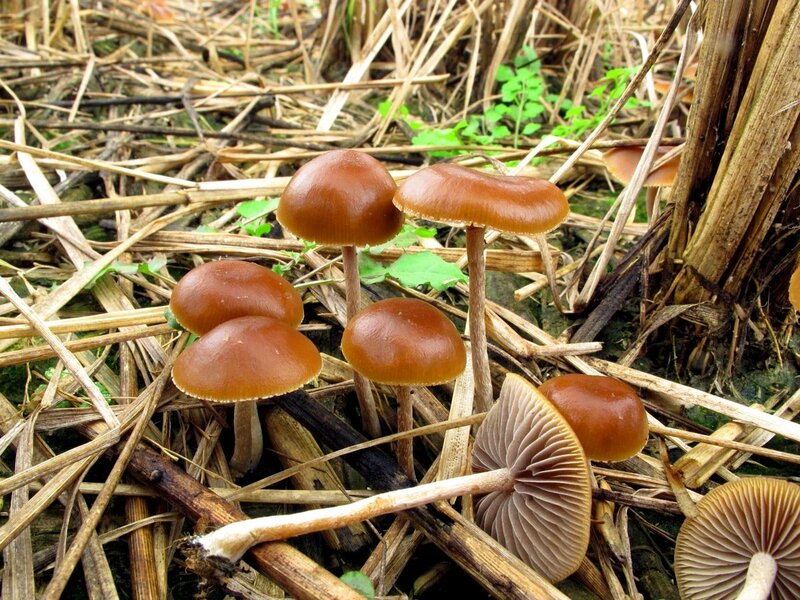 Also for other information, Psilocybe baeocystis is also in China. Very strange because it is only known of in the PNW from Bandon, Oregon to British Columbia. 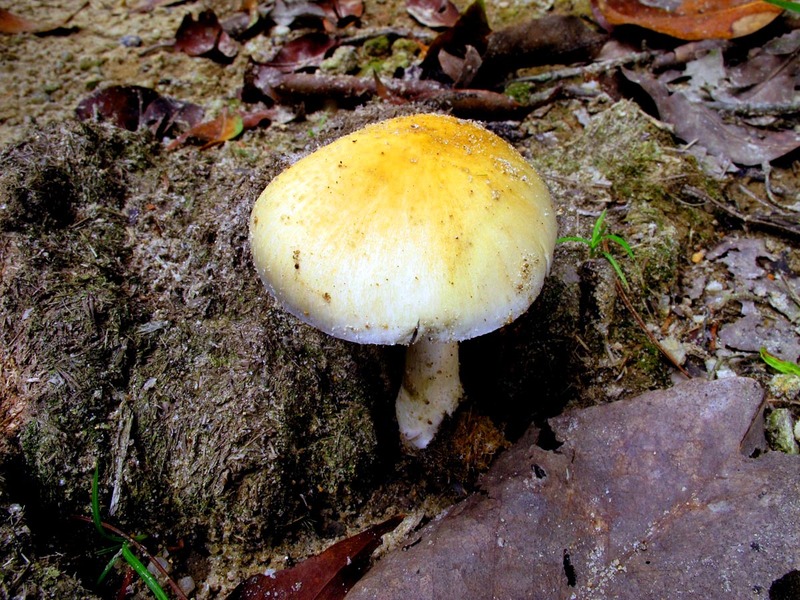 The species was named, Psilocybe baeocystis Singer and A. H. Sm. emend, Guzman. They named and did the original taxonomy and Guzman emended it their work so the speciesalso bares his name as well as P baeocystis. All the photos are from China. Looks like it favors composting grasses. I wonder if it's much given to bluing. It just looks like it might thrive here in Washington's coastal valleys on canary grass. Not much breaks down the lodged over canary grass over winter, and in spring the new shoots grow right out of the last years straw mulch. We really need something that would rot that straw. It's an exotic grass that's taking over every stream bed and meadow that does not get mowed regularly. So far it seems the only control of it is mowing, and everywhere else succumbs. It shades out all the native grasses. The only time the straw ever breaks down thoroughly the first winter is when it's covered in snow for an extended period. That's not many years here at low elevation. This is a tropical species. It will not grow in a cold climate,.